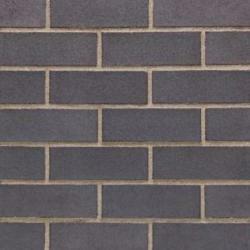 Discover the unusual blue colour of these engineering bricks, which offer a very nice, smooth finish. Wienerberger blue engineering bricks are ideal for any masonry project. These square edged perforated solid bricks available in pack of 400 are strong materials to strengthen your walls. ✓ Specifically designed to face wet and freezing conditions. Solid in any quantity, they are also suitable for manholes. Wienerberger blue engineering bricks meet the highest quality European Standards. Like every Wienerberger's facing bricks, these blue engineering bricks meet the highest quality standards: 100% frost resistant, they are fully functional and indispensable to define limits for water absorption. These bricks can be used for heavy engineering projects as they are highly durable. Discover our full range of Engineering Bricks.